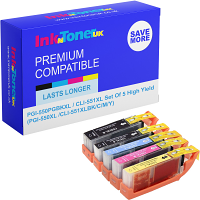 Home Ink Cartridge News February 1st – What’s Happening in London? A lot of things are happening this February so here at Ink N Toner UK, we’ve conveniently listed some of the awesome things we’re excited for in this coming month! Need ink or toner cartridges to print out any of your tickets? Well here at Ink N Toner UK, we’re dedicated to providing you with the ink and toner products you need for the most affordable price. Click here for ink cartridges and click here for toner cartridges.